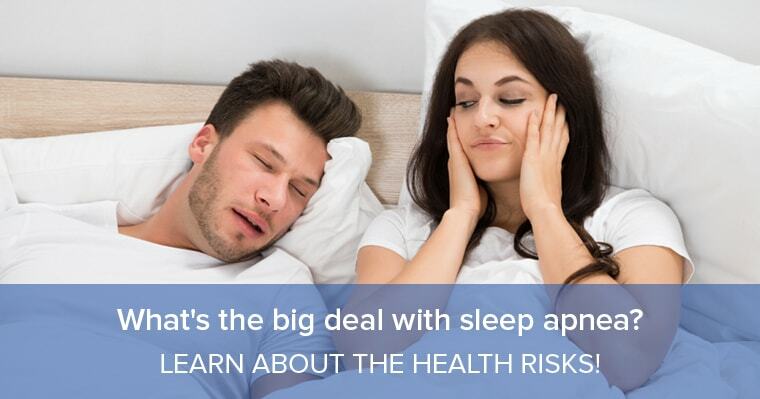 Sleep apnea contributes to 450,000 death per year. So, yes! It is a big deal if you don’t undergo the proper channels to treat this deadly disease. If you believe you or a loved one have sleep apnea, you’re not alone. In America, sleep apnea affects more than 12 million people. In honor of Sleep Awareness Week, let our blog guide you to help take the appropriate and proactive actions, so you can #SleepWellLiveWell. There are many warning signs of this serious disease. The biggest sign of sleep apnea is chronic snoring. That’s right – snoring is much more than an annoyance. Sleep apnea occurs when your throat muscles collapse, blocking oxygen from reaching to your brain and causing your heart to work harder. As a result, you start snoring and may stop breathing multiple times throughout the night. Making changes in your daily life can help alleviate your symptoms until you get professional care. Avoid alcohol: Alcohol and sedatives reduce the resting tone of the muscles in the back of your throat, making it more likely that you’ll snore. Lose weight: Being overweight is a common health risk with sleep apnea. Losing weight could help stop your snoring. Plus, it’ll improve your overall quality of life. To complement these lifestyle changes, it’s crucial you seek professional help to combat sleep apnea. Believe it or not, Dr. Cooper is able to help treat your sleep apnea by working with your sleep physician. CPAP Machine: Known as Continuous Positive Airway Pressure, this machine requires you to wear a mask at night and increases air pressure in your throat so your airway doesn’t collapse while you sleep. While it is a common method to treat sleep apnea, it can be cumbersome and awkward to wear at night. Oral Appliance: This non-invasive solution is our preferred method. Why? You can easily transport your oral appliance on trips, and due to its small size, it is subtle and discreet. It is comfortable to wear while stopping your snoring. We don’t blame you! If you fear you or your loved one is suffering from sleep apnea, please consult our office by calling (912) 920-6202 or contact us online and let’s get started to a restful and peaceful sleep.